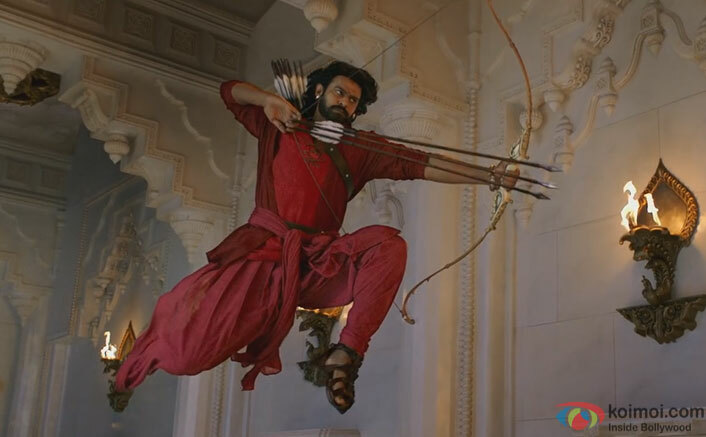 In 2017, there have been four centuries scored by Bollywood before the arrival of Baahubali 2 [Hindi]. This was by Raees, Jolly LLB 2, Badrinath Ki Dulhania and Kaabil. While the total accumulated by these films was surpassed in a jiffy by the SS Rajamouli directed affair, the game is much bigger now. The Telugu dubbed flick has actually gone past the *combined lifetime* of Jolly LLB 2, Badrinath Ki Dulhania and Kaabil and that too in just 11 days. With 15 crore* more coming in on Monday, the Prabhash, Rana Daggubati and Anushka Shetty film stands at 342.75 crore* and bigger glories are waiting to be enjoyed in days to come. What’s all the more interesting is that the pace at which Baahubali 2 [Hindi] is currently going, it could well go past the combined lifetime of not just the aforementioned films, but also Raees, which would be a feat huge indeed. The Hindi version is expected to collect at least 40 crore more before the second week comes to a close and that would help it inch nearer to the 400 crore mark. That would indeed be a first as all eyes are now on the third weekend of the film where Baahubali 2 [Hindi] would turn out to be the first ever film to enter the 400 Crore Club in just one language. The post Baahubali 2 [Hindi] Gathers More Records On The Way In Weekdays Too appeared first on Koimoi.